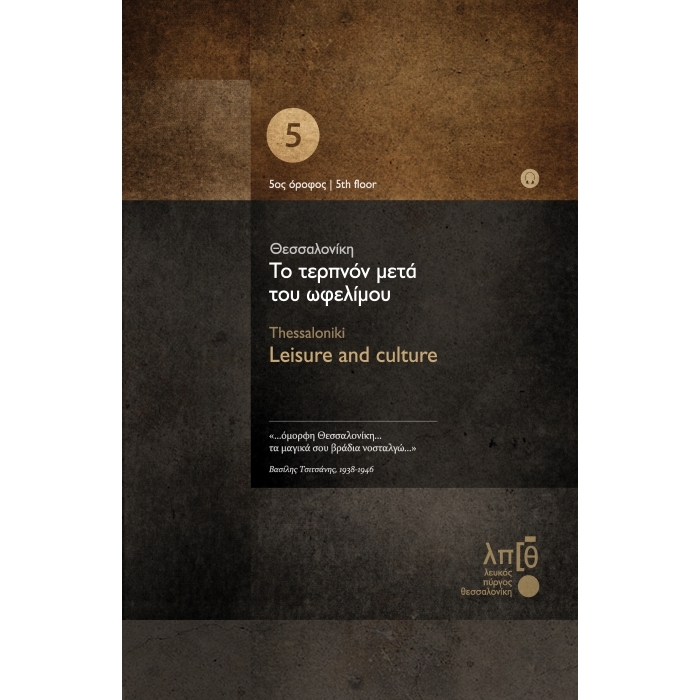 The theme concerns the intellectual and artistic life of the city in the nineteenth and twentieth centuries. 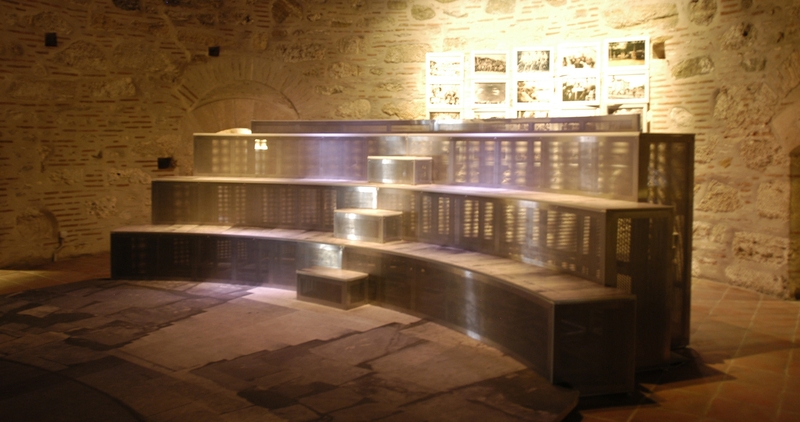 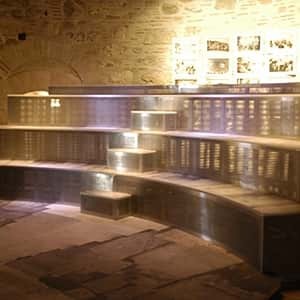 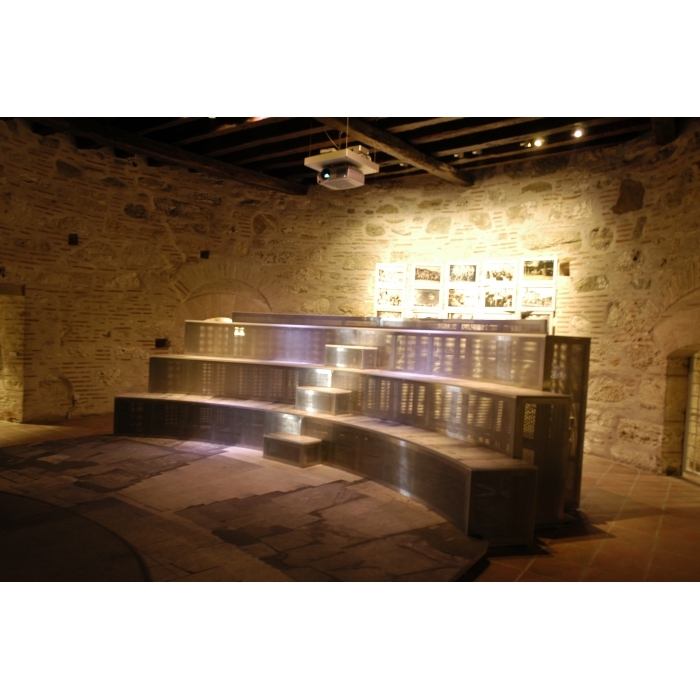 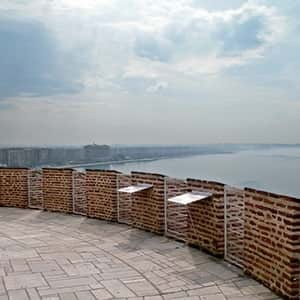 The central area has been formed into a small amphitheater where a film is shown that presents, through archival and modern material, “spectacle in the city”, images from the artistic and athletic life of Thessaloniki. 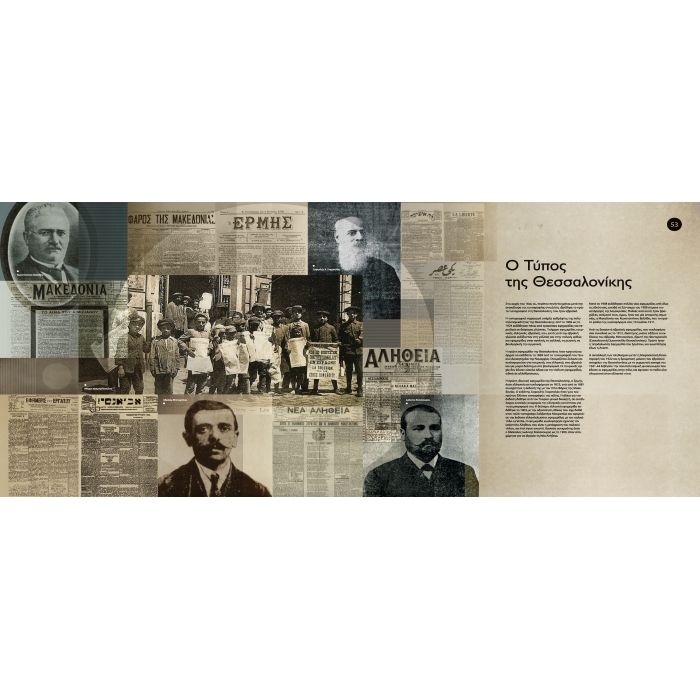 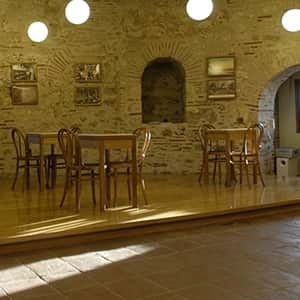 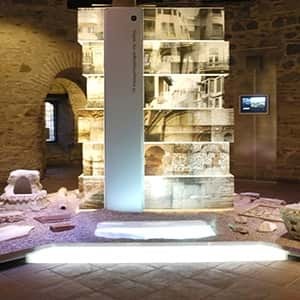 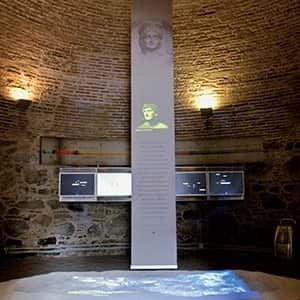 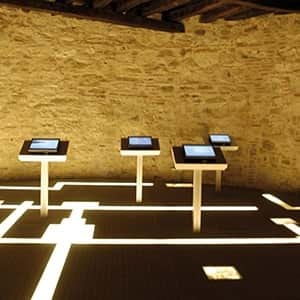 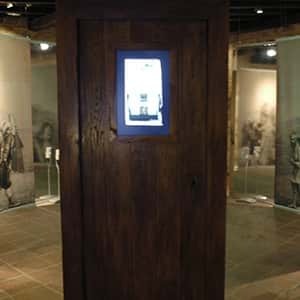 In the surrounding rooms, lightboxes present subjects such as the Thessaloniki press, Aristotle University, the city’s schools and educational foundations, literature, theater, the cinema, and music in Thessaloniki. 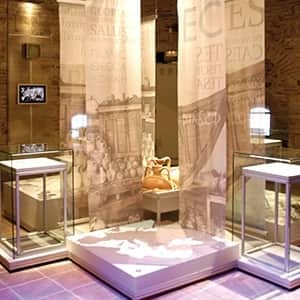 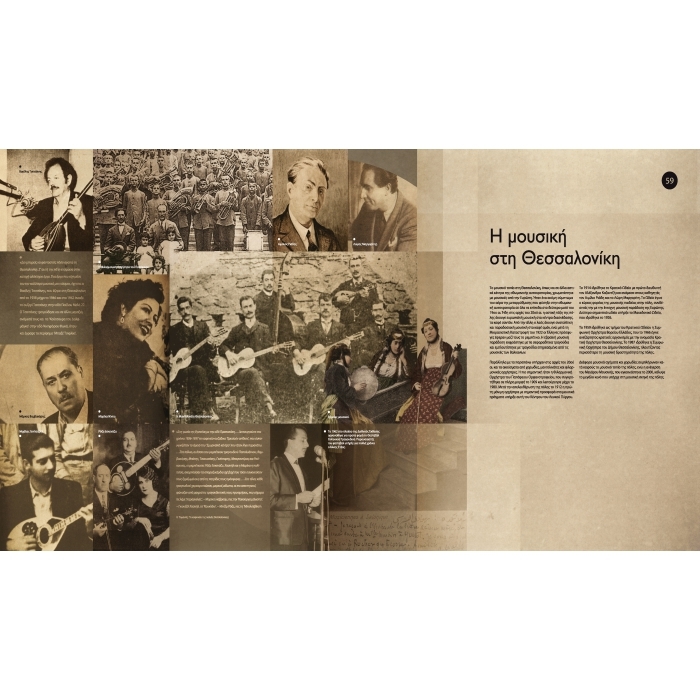 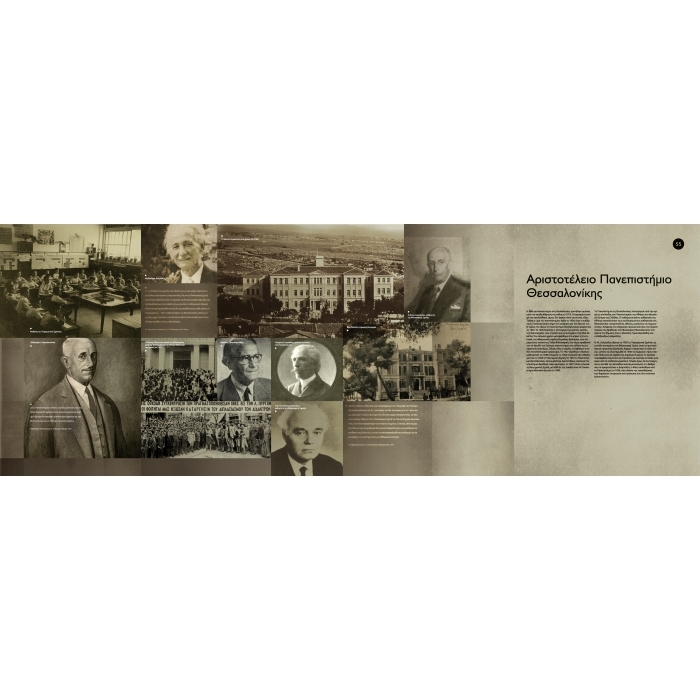 In addition there is a slideshow with newspapers which have circulated in Thessaloniki, a video on radio and television in Thessaloniki, an interactive application about personalities in the intellectual and artistic life of Thessaloniki from antiquity down to our day, and an acoustic application featuring songs that mention Thessaloniki.